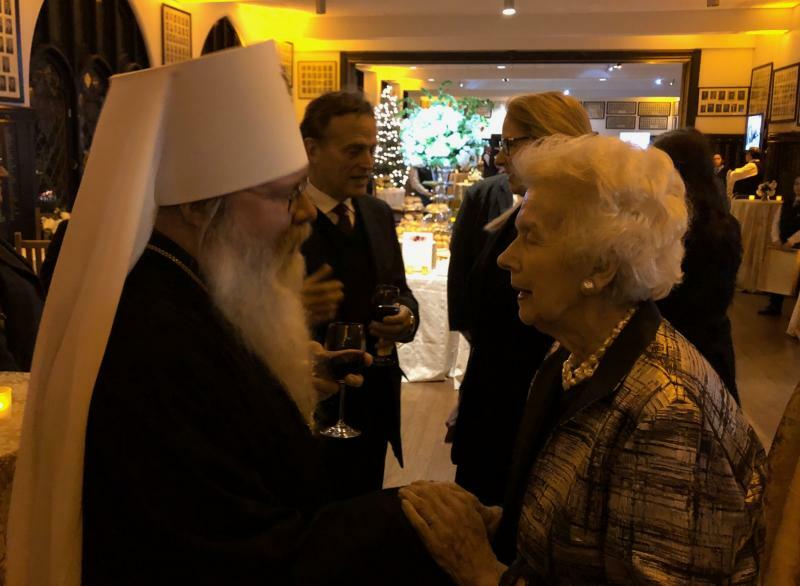 On Tuesday, November 27, 2018, His Beatitude, Metropolitan Tikhon, attended the funeral of the Former Librarian of Congress, Dr. James Hadley Billington, who led the world’s largest library for nearly three decades and was credited with bringing it into the digital age. Dr. Billington died on November 20 at the age of 89. Accompanying Metropolitan Tikhon were Protopresbyter Leonid Kishkovsky, Director of External Affairs for the Orthodox Church in America and a personal friend of the Billingtons; Archpriest Dennis Bradley of the OCA’s Archdiocese of Washington; Benedict Sheehan, Music Director at Saint Tikhon’s Orthodox Theological Seminary; and STOTS Seminarian George Davis. Dr. Billington, Chief Librarian for 28 years until his retirement in 2015, doubled the size of the Library’s traditional analog collections from 85.5 million items in 1987 to more than 160 million items. He also was credited with creating a massive new Library of Congress online, making research and legislative databases more easily accessible. Having a keen interest in Orthodox Christianity, he offered a great deal of assistance to the Orthodox Church in America over the years. When Dr. Billington was beginning his academic teaching career at Harvard University, he entered into a close association with the late Archpriest Georges Florovsky, a Harvard Senior Professor in the late 1950s. 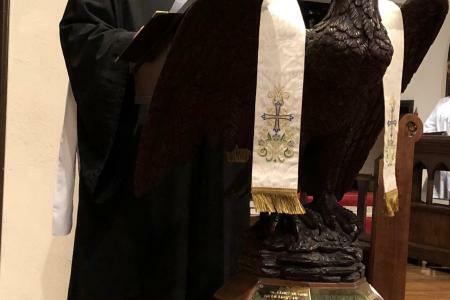 After Father Georges’ retirement from Harvard in 1964, Dr. Billington, who had moved to Princeton, NJ, was instrumental in having Princeton University offer a teaching position to Father Georges, where he would remain for the rest of his life. Dr. Billington repeatedly referred to Father Georges as a mentor. As a scholar of Russian culture, Dr. Billington had a particular interest in the Russian Orthodox Church and its spirituality. In addition to Father Georges, he maintained contact with such Orthodox Christian scholars as Protopresbyters Alexander Schmemann and John Meyendorff. He was an ardent supporter of Orthodox theological education, particularly Saint Vladimir’s Orthodox Theological Seminary and its Library, which he considered “the richest library of Eastern Christian holdings in the Western Hemisphere.” After the fall of the Soviet Union, he assisted both secular and Church libraries in Russia in recovering their cultural and spiritual patrimony. 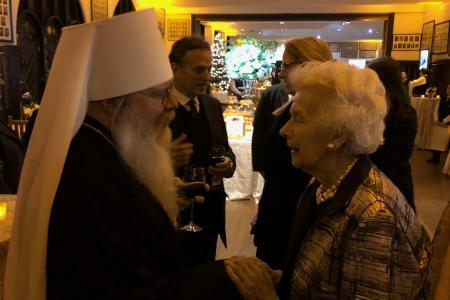 In conjunction with the 1994 Bicentennial of Orthodox Christianity in North America, the Library of Congress, under Dr. Billington’s leadership, mounted a major exhibit titled “In the Beginning Was the Word: The Russian Orthodox Church and Native Alaskan Cultures.” He joined US President Clinton, Russian President Yeltsin and His Beatitude, Metropolitan Theodosius for the exhibit’s opening. Dr. Billington was also the keynote speaker for the Bicentennial celebration in Washington, DC. 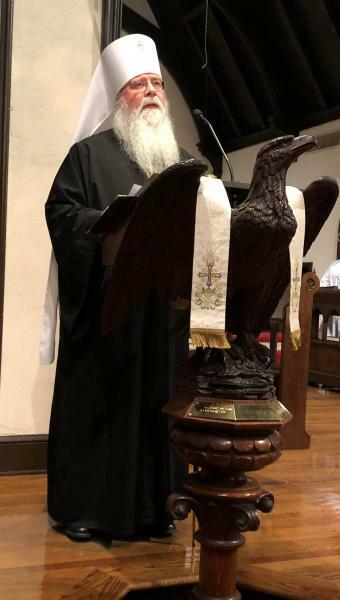 Dr. Billington’s funeral was celebrated at Washington, DC’s Saint Alban Church, after which Metropolitan Tikhon read the Paschal Homily of Saint John Chrysostom.